Wallace played four collegiate seasons (2002–2006) at the University of Notre Dame, where he set a school record by playing in all 153 games during his career. He scored 25 goals with 34 assists for 59 points and had 39 penalties for 86 minutes. As a senior, he notched 11 goals and 12 assists for 23 points to finish fifth on the team in scoring. An undrafted free agent, Wallace was signed to a contract after attending a tryout camp with Pittsburgh in the fall of 2006. In his first season, he split time between the ECHL's Wheeling Nailers and the AHL's Wilkes-Barre/Scranton Penguins, seeing action in 51 games with 11 goals and 20 assists for 31 points and 62 penalty minutes. He played in 11 playoff games for Wilkes-Barre/Scranton, scoring a goal and an assist. In 2007-08, Wallace played in 74 games with Wilkes-Barre/Scranton, accruing 12 goals and 14 assists for 26 points and 83 minutes in penalties. He played in 22 postseason games in helping the Baby Penguins advance to the Calder Cup finals against Chicago. He had two goals and six assists for eight points and 21 penalty minutes in the playoffs. Wallace made his NHL debut on December 10, 2008, against the New Jersey Devils. 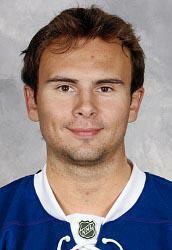 He registered his first NHL point, an assist, on December 18, 2008 vs. the Atlanta Thrashers. 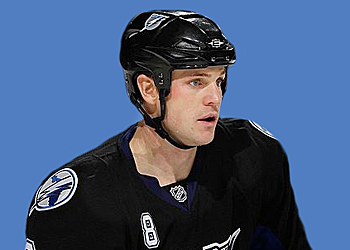 On February 23, 2012 Wallace was claimed off waivers by Tampa Bay Lightning from the New York Islanders after playing 31 games in the NHL season.